my mobile sghi717 do not update my software why ? Can note i717 update higher than firmware 4.0.4? Jefferson, 28 Mar 2017I have a problem with my Samsung Galaxy note I717, it no longer gives signal, it gets hot and ... moreTry getting a new i717 Battery. Also what android version are you on? It is now 2017, and the phone is over 5 years old. I imagine it was quite cool when it first came out, but it was one of Samsung's first Android phones and the first NOTE they produced. I believe the phone has a lot bugs that needed correction in their newer models. By now, they have those bugs all worked out. I purchased my NOTE new & unlocked, but mine was affiliated with AT&T and they crammed it so full of useless non-removable apps. it left very little space to add anything I really wanted. It's almost impossible to go online or play/use any games or apps; it freezes continuously and at times it doesn't ring but voice messages are left. Right at this minute, it's been downloading something for the last 16 hours, and no matter what I do it won't stop. I reboot it, but it continues it's updating when I turn it back on. Even with WIFI turned off, it continues. When I can finally get it stopped, it will have nothing to show for it's behavior. As a general phone, I'd say it's performance is below average. Where your ear touches the screen, it turns the phone off in the middle of the conversation. I've spent most of the time using speaker phone to avoid cutting off my calls. The rest of the time I spend cleaning it out to free up the little space it still has. It's really a pain in the rear. NEW, doesn't necessarily mean "Good." It's obsolete in my opinion, and it shouldn't be on the market any longer. Rooting the phone may help it to work more smoothly, and it may be possible to keep it as a back-up for emergency calls, but for no other reason. There are many other phones available, cheaper than what they're selling this for today, and they have much better specs. Take your time and keep an eye out for sales at places like Best Buy. I just found a 2016 Motorola MOTO-G-Play, Refurbished and online at Best Buy for $99, w/ free 2-Day Shipping. 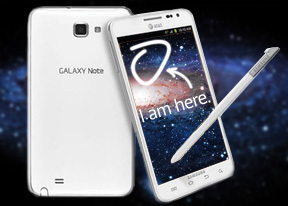 The specs are more modern with much more Memory, Ram, and Internal Storage. It's not affiliated with a carrier, so it has ZERO Bloatware which will make a much better experience. Those saying their NOTE i717 works great, is more the exception than the rule. I have a problem with my Samsung Galaxy note I717, it no longer gives signal, it gets hot and the phone gets hot when it is turned on and off every 3 minutes and then automatically turns on ... what is the solution ? 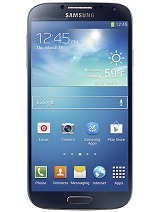 I have just bought my samsung note 4g/ 1717 it is reallya good phone and hasa bright camera but the only problem am facing is not lasting battery. Does this phone work without the back on?? the phone is nice but I have problem with the battery strength and right now it started freezing mostly when brightness is high .What should I do? karl kiid, 10 Jan 2016how do i root my phone resently got itWhat rom are you running? Whats rom are you running? Anonymous, 06 Apr 2014would anyone know how to cut the voice off when turning the home page? i don't know how i cut... morei had to factory reset to get rid of that voice. djbedman, 22 Feb 2016My is telling me no sim cardReplce the sim/sd-card reader. its a known issue. djbedman, 22 Feb 2016My is telling me no sim cardMy i717 will show no sim several times a week. Sucky battery life, slow. Bought this phone because my iPhone broke. I've save enough money to buy without a contract. iPhone is locked down, wall garden but it works for me. My work phone is Droid Maxx. Solid specs yet it also freezes on me weekly. When it works, it's a really good phone. Guessing Android OS is still "developing". I'm done wh being a test subject. Windows phone is good, camera s awesome. my samsung galaxy note i717 is very slow and i dont konw what to do to get it runing smooth again. please help. 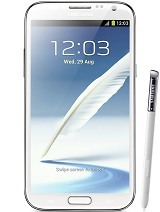 Total of 520 user reviews and opinions for Samsung Galaxy Note I717.